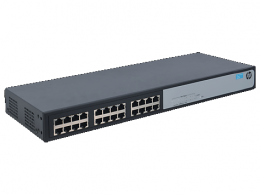 Ports : 24 RJ-45 autosensing 10/100/1000 ports. Memory and processor : 1Mb flash; packet buffer size: 512 KB. to 35.7 million pps (64-byte packets); Switching capacity 48 Gbps; MAC address table size 8192 entries.